At face value, the idea of a new Battlefield game set in World War II hardly screams originality or progress. 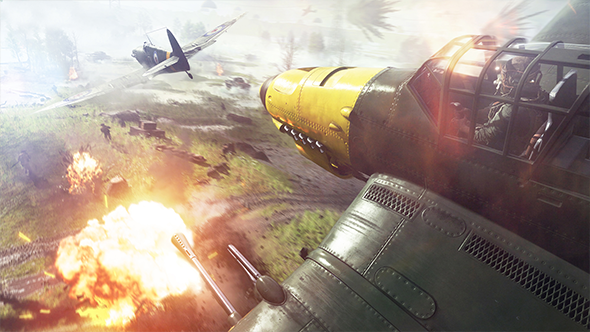 The series has already visited the era twice in the form of Battlefield 1942 and 1943, and countless other first-person shooters have used the conflict as a backdrop. But DICE is subverting that familiarity. 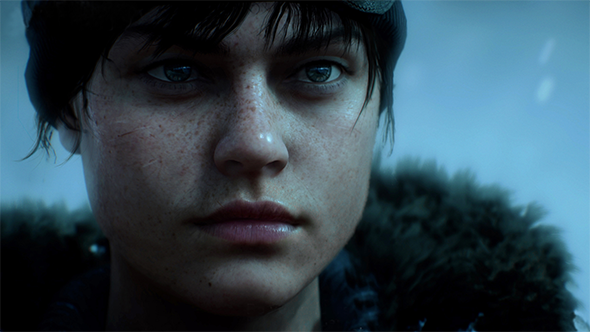 Battlefield V abandons the usual arenas of the Eastern Front, Normandy, and the fight for control of the Rhine, and replaces them with altogether lesser-known WWII theatres – among them, locations such as Norway’s Arctic Circle and the city of Rotterdam. DICE has explicitly stated that it isn’t interested in revisiting old territory, and on this evidence it looks like the studio is committed to that sentiment. It’s such a popular setting, we have a list of the best WW2 games on PC. Unlike Call of Duty: Black Ops 4, which won’t have a single-player campaign, Battlefield V reinstates the War Stories mechanic we saw in Battlefield 1. These bite-sized chunks of narrative are intended to portray the realities of WWII from a perspective that most of us won’t have learned about in school. Norway is one such vignette we’re shown. In this campaign you play a woman in the resistance, fighting to keep your family safe from the occupying Nazi forces. While we haven’t yet been shown any in-game footage, the concept art and short teaser trailer feature mountains covered in snow, soldiers on skis, and our hero falling deep into a body of ice-cold water. The Rotterdam setting is completely different. Urban, darker, and broken by incessant bombing, DICE used the Dutch town to unveil its revised Grand Operations mode. These will be limited-time events, each playing out over multiple matches and representing a multi-day conflict. The setup sees one side hunkered down inside the city and another advancing with a large invasion force. In the first match, day one of the conflict, you can either play as part of the attacking division of paratroopers, set on destroying artillery aimed at your advancing allies, or as the defenders protecting the heavy guns. If you’re playing as the paratroopers then your goal is to break through the defenders and cripple as much of the artillery as possible, whereas if you’re on the opposing side your best bet is to shoot your enemies out of the sky before they can land. Day Two sees you return to the same map, only with the attackers playing regular soldiers, instead of paratroopers – their respawn pool determined by how many artillery guns they destroyed on Day One. It’s a smart link that should ensure a sense of continuity between the otherwise separate skirmishes. On Day Three the battle moves further inside the city to its bombed out core and, if the two sides have performed fairly evenly up to this point, Day Four is the final showdown for control of the city. By the time Day Four is reached, DICE suggests that the fight will have lasted over an hour already. During this final showdown you have just a single life and very limited ammunition, pushing you to play with clever teamwork and decisive action. 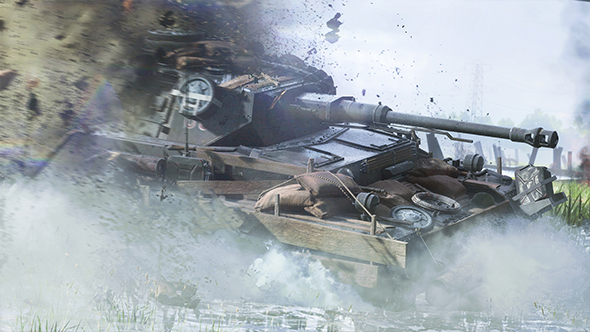 A number of tweaks to the way the Battlefield squad system operates, alongside in-game rewards for teams that cooperate effectively, are explicitly designed to push you towards thinking collectively over individually. You are always placed in a squad whenever you join a game, for example, and you can no longer leave it. 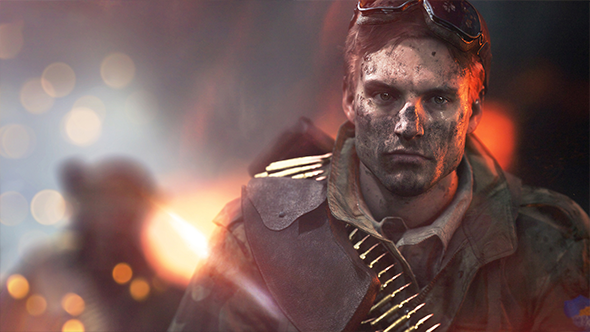 You can always run off and play on your own, of course, but changes to Battlefield’s systems further discourage lone wolfing – while you can be healed by any soldier class in the game, they have to be a member of your squad. This should provide ample encouragement to stay in formation. Medics haven’t been removed, and they still provide the best care – they’re the only class that can heal you back to 100% health – but the ability to be dragged back into battle by anyone represents greater scope for team tactics and positioning. If you dodie on the battlefield then you can still respawn on a teammate as long as they’re not engaged in combat, as before. It will throw up decisions for the enemy – do they pursue you and try to block the respawn, or hold back, reinforce their area, and prepare for a second engagement? Squads also need to work together to take full advantage of a new system of ‘fortifications’. Battlefield has long been known for its facilitation of destructive tendencies, but now you can create and repair within combat zones, too. Destroyed buildings can be partially repaired so that they work as defensive structures and bases of operations. You can also place concrete tank stoppers, razor wire, sandbags, trenches, fox holes, and other structures designed to give you a combat advantage. The Builder class is the most efficient operator when it comes to constructing these features, but anyone in the battle has access to these fortification options. Should you desire you can also move weaponry that was stationary in previous Battlefield releases – such as machine gun posts and AA guns – into your fortifications to provide some heavy firepower. In fact, you needn’t have such weapons remain stationary at all. Should the urge arise, you can hook something like the AA gun up to a tank or truck, then tow it behind you and create a mobile weapons platform. Being able to rearrange the combat space in this way means that, in the case of the AA gun, it’s no longer possible for pilots to memorise the dangerous locations on the map. Staying attuned to the intricacies of combat and troop movement is likely going to be a key concern for all players. The removal of the ‘spotting’ system – which tags enemies with a dot above their head when you lay eyes on them – further enhances the need for keen observation skills. Enhancements have also been made to the way bushes, grass, and water react to player movement, and that’s what you’ll be relying on to spot dangers and targets. What’s clear is that DICE is seeking to switch up the pace delivered by their previous games. The healing, respawning, and fortification systems all provide reason to think more carefully about how you approach firefights, and whether or not your current position and situation is favourable both in the immediate and medium term. Your allowance of ammo upon first landing in the map has also been reduced, meaning that sprinting out of the blocks and shooting your gun at the first moving pixel you see isn’t a realistic path to success. All of these tweaks should add up to a game that exhibits greater variety in its peaks and troughs, as opposed to the frenetic sense of all-out ferocity previous entries have traded on. 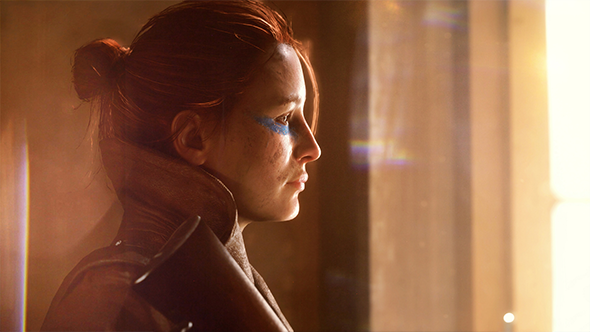 Battlefield 1 saw a welcome shift in pacing and scale. 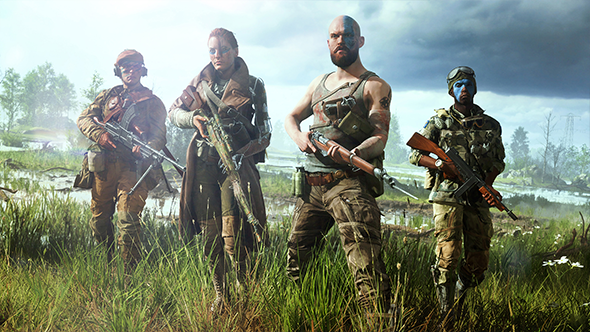 If Battlefield V can succeed in encouraging more sophisticated teamwork, it could be an even more profound evolution for the series.